In this quick tutorial, we will show you how to set up webhooks, as described in our CI/CD feature, on quay.io. Let’s assume you already have an account at quay.io and set up a repository. Navigate to your repo and open the settings via the menu on the left side. The list of notifications is empty for a newly created repository. Click on "+ Create Notification". 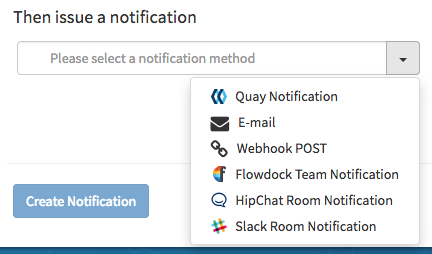 quay.io lets you first determine the kind of event you want to trigger the notification for. 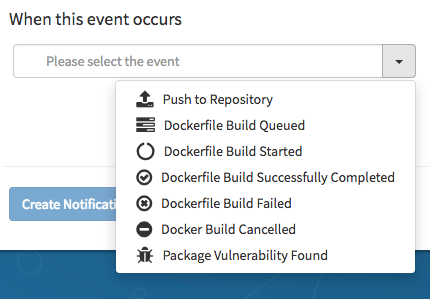 For the purpose of triggering a deployment, only “Push to repository” and “Dockerfile Build Successfully Completed” make sense. We’re choosing the former one here, since we’re assuming an image push to the registry. Then you have to choose the kind of notification. 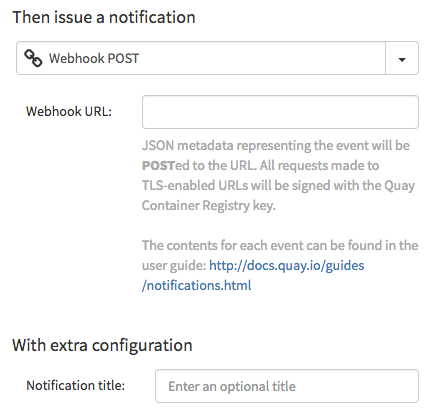 “Webhook Post” is the option we’re choosing in this example. Then you reach this form, where quay.io lets you enter the URL. And that’s it. You’re set up. The next time you push an image to this quay.io repository it is automatically deployed on sloppy.io. If you want to set up webhooks on Docker Hub, please follow this link.